Since the end of the nineteenth century, Egypt has been evolving at a very high speed. Its political, economic and cultural life has undergone striking changes. From the inscription of the first hieroglyph to the construction of the new hi-tech Smart Village, Egypt has always been a pioneer on the frontier for emerging information technologies in the Arab world. 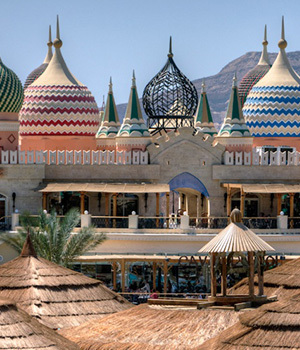 Location – the resort itself is in Ras Om El Seid close to the Old Market in Sharm and also only a short distance to the Il Mercato shopping centre. If you want to visit Naama Bay and Soho Square these are also easily reached with a short taxi drive. 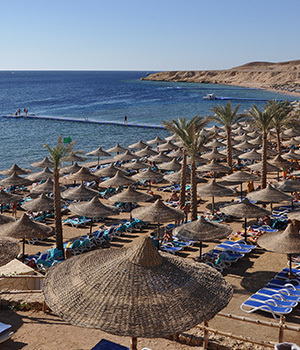 Sharm El Sheikh itself is one of Africa’s most popular destinations due to year round great weather, proximity to the airport and excellent diving waters. Sharm is around 35km long and growing all the time. 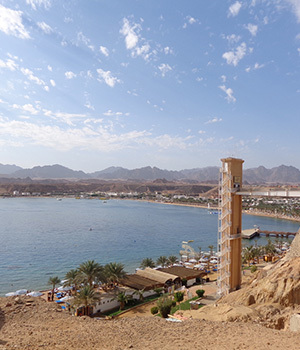 Whilst In Sharm: We have put together a few hints as to what you can do whilst you are in Sharm. Naama bay is the beating heat of Sharm and comes alive at night. A busy lively vibrant side of sharm only seen in Naama Bay the streets and promenade are taken over by street cafes, nightclubs, restaurants and many bazaars selling local products and souvenirs with the Camel Roof Top bar been a must if you want a great place to either relax with a drink or enjoy a meal. Another great place is Soho Square a completely family friendly open entertainment centre with many great things to do including bowling, Ice Skating, restaurants, shoping and Africa’s very first ice bar. Soho Square is really cosmopolitan and a must see Soho Square is bringing Sharm into the twenty first century, with leading edge style and design, five star authentic restaurant dining, real clubbing from the UK, amazing bars and great entertainment.